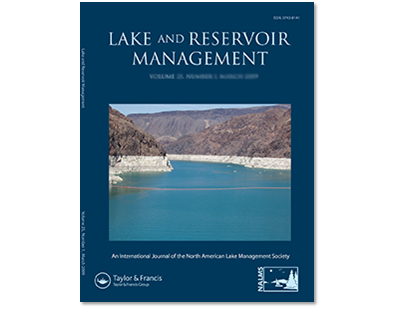 The article “Aluminum Treatments to Control Internal Phosphorus Loading in Lakes on Cape Cod, Massachusetts” appears in the May 2017 issue of Lake and Reservoir Management, an international journal of the North American Lake Management Society. Authors Kenneth J. Wagner, Dominic Meringolo, David F. Mitchell, Elizabeth Moran, and Spence Smith describe the use of aluminum over a 20-year period to avoid cyanobacterial blooms in Cape Cod kettle ponds. EcoLogic has worked with the Town of Eastham to protect and restore several kettle ponds that were exhibiting signs of phosphorus over-enrichment.